Behavior problems are often the source of stress, frustration and even embarrassment for pet owners. 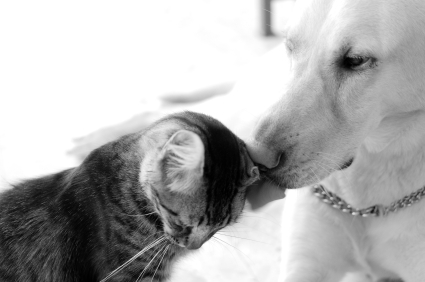 Behavior consultations provide advice, training, coaching and support for owners that have pets with behavior problems such as aggression, fear, anxieties, etc. The initial behavior consult starts with a 60-90min session that will include a functional analysis where I will sit down with the owners and talk about the problem behavior/s and try to get to the core of behavior problem. The first consult also usually includes working together on a training plan and how execution of that plan will be implemented. In some cases the first consult will also include recommendations about management during training and conditioning. During this initial consult I will also recommend a schedule that may include follow up training sessions. Changing a behavior pattern often takes time. It cannot be done without the involvement of the pet owners. The family and I may need to continue to work together and additional session may be needed. Follow up maybe as simple as an email check in or I may need to come back out to the home and help train the pet or coach the owner with the training. In some cases the owners and I will choose to do follow up sessions over the phone. Consults in your home- $125 initial consult. $99 each additional consult. Consults over the phone/Skype- $99 initial consult. $50 each additional consult. Service Area: Menifee, Sun City, Murrieta, Temecula, Canyon Lake, & Lake Elsinore area. An additional charge for locations outside of these areas will apply. Cancellation Policy:If you are unable to keep your appointment, please notify us as soon as possible. The answering machine is on 24 hours a day. Because we do not double-book appointments, when you break your appointment with less than 24 hours, we are not able to fill the empty spot. We value your time, so please value ours as well.